Are you a makeup snob? I wouldn't call myself one because I do use drugstore brands that do wonderful things for the price. However, in my experience, the more expensive products tend to work better than their affordable counterparts. That's why I would rather save my money and spend it on big-ticket beauty items if I'm going to have to buy a specific type of product anyway. Take foundation, for instance. The best foundation I've ever tried hurt my wallet pretty badly, but it was one of my best buys ever. I have found that foundation is something that's difficult to get right so the good ones tend to cost a really pretty penny. That's why I kinda don't know why I purchased the Tony Moly Baby Doll BB DollFoundation, because it's just P398. I didn't know exactly what I expected from it! Well, I was impressed when I swatched it in the store and thought it was quite interesting. The clincher though was the fact that Tony Moly was new and I want to try something new. Good thing that this foundation is actually a nice product so I feel that my 400 bucks went to the right place. Coverage and finish. I wouldn't call the Tony Moly BB Doll Foundation a proper "foundation" though. 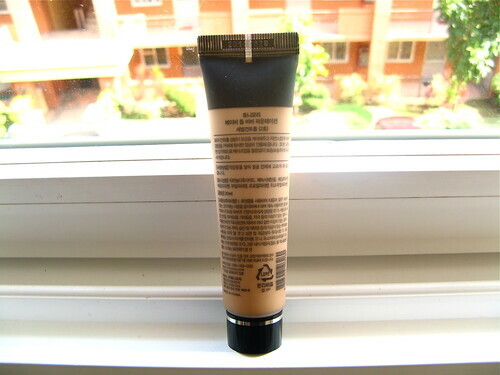 It's really more of a BB cream or tinted moisturizer to me, judging by the texture and coverage. 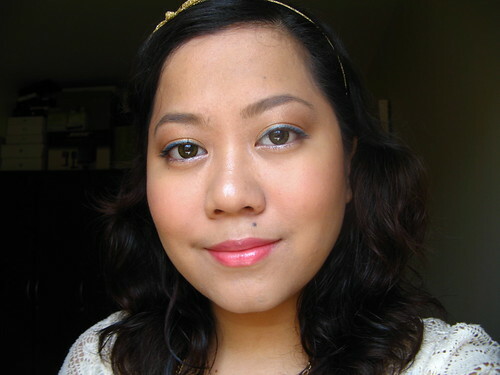 It's sheer, so I use two layers to get even coverage. It's something that needs to be set with powder, because the finish, while giving a nice glow, can be too shiny in other interpretations. The pictures will show you how pretty this face makeup looks like when worn! Oil control? The BB Doll Foundation is supposed to help control oil, and it does. "Help" is the operative word here so don't expect an oil-free face the whole day. I don't oil up so much when I use it under any powder, so it's something that I won't mind using during long work days. I only need to blot once when the slight oil bothers me mid-afternoon. Lasting power. Surprisingly good, if you ask me! I thought at first it was because I used a primer, but then I skipped it, and the foundation still lasted pretty well under extreme humidity. There is no significant fading or caking throughout the day. Shade selection. There is only one shade available for this foundation, which I find odd. The lack of shade choices proves that this is really designed as a BB cream/ TM. It fits medium skin like mine, but I reckon this will work for light skin also (NC25 up). 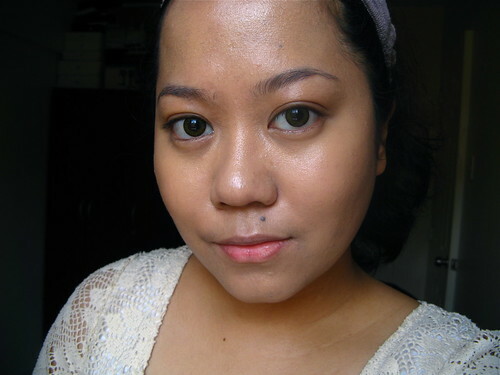 This product is yellow-toned so it won't look garish like the normal beige Korean BB creams. It looks ever so slightly gray on me, but that's just me being OC. I'd say the shade match is very good on my NC35 skin. Verdict. 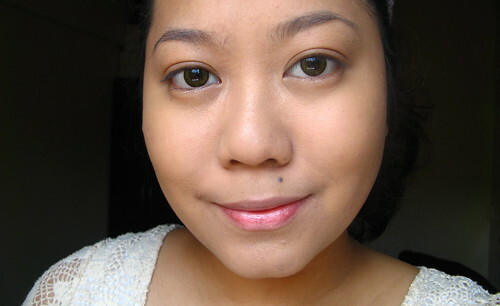 The Tony Moly BB Doll Foundation (P398) is a nice product that offers sheer, beautiful cover and helps with oil control. Quite frankly it's not something I would use alone, so if I were you, I'd have a great loose powder handy whenever I use it. It's handy for normal days out when you just want your skin to look like skin. Overall a good product and a good buy if you're looking for something like it. So, what do you think? Does this look like something you'll try?